Social media monitoring is also known as social listening, online analytics, social media measurement, etc. It is mainly using a tool to listen to what people are saying across the internet in social media. There are many social media tools to help to monitor the sites. This crawl the websites and monitor. Social media is playing a key role in marketing the business online. People are using social media to express their opinions on products or services. Finding and observing what people are saying about the product or service will help to make the necessary change and get ahead of competitors and compel customers to come back. Social media monitoring tools help the brands and businesses to improve customer service and to reach the new audience. These also provide feedback on questions and concerns of people about the product or service. Brands use the feedback to improve their services and attract new customers. What should brands listen? They should monitor the brand mentions, competitors, customers, hashtags and others. 43% of users are communicating with the brands through social media whereas 31% are accessing customer service through it. 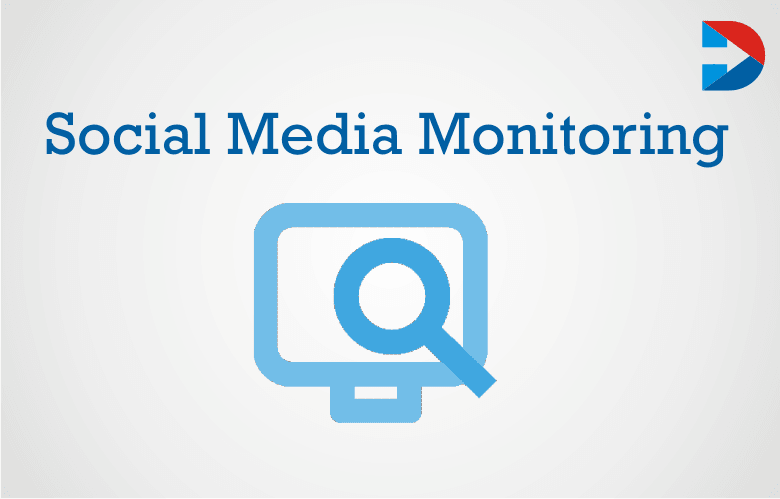 Social media monitoring is considered to be very important for brands. It should be done regularly as it provides many benefits. Find out what people are talking about the product or service. Sport the trends and find the concerns of the people about the products. Identify whether the product is received positive or negative comments in social media. What are the frequently asked questions about the products? Find out who are the key influencers in the niche market. Identify the areas in which the products or business produces requires some development or improvement. Identify the areas that could pose a threat to the company. To evaluate the performance of marketing campaigns. Social media monitoring also helps in improving the existing products or to develop new ones. Social Media Monitoring also helps in finding sales opportunities. 71% of customers are likely to use social media services of branded businesses. The social media monitoring market crowded. New tools introduced continuously. Various types of tools are available to monitor social media. These are enterprise tools, research tools, the necessary tool, engagement tools and others. Choosing the best social media monitoring tool is difficult. It depends on what the requirement is. Another thing to consider is the budget. Check all the functionalities and features of the tools and compare them. Use comparison sites to help you decide. Many free tools are available which can be tried for some time and based on the satisfaction, and it is possible to upgrade. Social media monitoring has come a long way. It is now very crucial to know what the audience is saying on various social media sites. Paid and free social media monitoring tools are now available and can use as per requirement. Social Media Monitoring called Social Listening. It’s the ongoing process of tracking online conversations to find information about URL’s, Hashtags, Keywords, Other Topics related to accounts, brands, businesses, organizations, and competitors. Top social media monitoring tools even turn the toughness performing transactions into lucky society listeners, and transform marketing into tool promotes, also develops marketable products. It measures the ‘Social Value’ of your services, and provide central traffic insights you can use to improve your decisions. HubSpot Marketing is an advanced system that brings all your marketing efforts to one place and helps your team grow traffic and increase conversions. HubSpot offers an inbound marketing & sales solution that automates some campaigning operations next to social monitoring. The compact package is ideal for small, medium, and large product teams interested in optimizing all of their resources, and thus also covers email marketing, lead management, SEO, and complete lead-to- deal control. It is an End-to-end marketing automation. It has personalized lead management and ease of use. And also it has Email marketing features and SEO optimization. It is a part of a large productivity suite. Mobile users are taking place to spend 80% of time on social media. BuzzSumo is a leading content & influencers research tool for trending marketers trusted by brands such as Yahoo,CapitalOne, National Geographic, The Telegraph, and many others. With BuzzSumo, you can share your activities across all leading social networks (Twitter, Facebook, LinkedIn, Google Plus and Pinterest), and look for influencers in any topic area. Both competitor alerts and competitor analysis were done. Google employs one of the most natural social media tracking methodologies known as Alerts. This service is only accessible for Gmail users. Google Alert’s core function is web monitoring, ideal for bloggers and vloggers to keep their content trendy, fresh, and regularly updated. You can also schedule your Alerts account to prepare feeds on a weekly and monthly basis, instead of receiving alerts in real time. It is free to use. Google Alerts has a vast network of clients, partners, and contributors, and is, without doubt, the most discussed web intelligent tool nowadays. ZOHO Social is a smart tool that helps businesses grow their presence on the social media by reaching the suitable audience at the right time. It allows tracking revenue from social media marketing efforts and managing multiple social networks, monitoring keywords, scheduling unlimited posts and team collaboration from a single dashboard. It works great with Facebook, Twitter, Google+, LinkedIn and Instagram and can also integrate with ZOHO CRM. It is a powerful search tool, and it has SocialShare extensions for Chrome and Firefox. Based on any criteria, you can split your audience into multiple segments. You can also try various combinations of texts and images on top of the best performing ad and save time in the process. Qwaya targets predominantly large marketing teams and enterprise. Its mission is to empower its customers to transform their messages into meaningful relationships. It has the features to manage contributors, gather intelligence by monitoring mentions of your company’s brand. It can be updated multiple networks in one step and optimize delivery. Also, it has social analytics reports. This is suitable for small businesses to monitor on Twitter. With the free plan, it is possible to add three social networks. Brands an find out what the people are saying about them in the social media networks including on Twitter. AdRoll is a digital marketing technology platform that specializes in retargeting which aims to convert window shoppers into buyers of your product or service on your site. To achieve results, AdRoll utilizes different platforms such web, mobile, and even social media using advanced tools. A proprietary, real-time bidding algorithm BidIQ is also put in place to ensure ads placed in the right spot, at the right time. AdRoll is not merely a social media management service you’ll be using, but a reliable partner that will provide you with strategic advice. As a user, you can always contact the company’s experienced agents, and ask for their assistance. SharpSpring is a robust marketing platform with affordable packages for small and medium-sized businesses. It offers comprehensive marketing automation with rugged features to online marketing needs of its clients. There is a possibility to integrate it with any social network and embed forms on your profiles. Sysomos is also a safe choice for those looking to measure social media performance, and turn it into operable intelligence. Heartbeat is Sysomos’ real-time engagement monitoring tool. It offers the largest database of indexes and conversations on social networks is well-known Sysomos’ social research and analytics engine. Social media posts include content from popular social media platforms like Facebook, Twitter, blogs, and news websites. With this platform, they can stay on top of billions of online conversations, extract relevant insights, and use them to strategically drive brand perception for their company that generates results and growth. Meltwater offers a unified inbox and automated communication chains that combine the social media presence and activity of each of the team members, and helps monitor and evaluate their progress. For your social media data, it offers a powerful and efficient social media monitoring and analytics platform that enables your business to collect, analyze and report relevant business insights. Either proactively or retroactively for social media mentions of your brand or keyword, you can search data in Brandwatch’s web-based interface. Synthesio is a social intelligence tool used for social media monitoring and social analytics. It utilizes the crawling web method for catching relevant data and the information it acquires enriched with sentiment analysis and demographics that helps in building up a social analytics dashboard. To improve brand awareness, it also measures the impact of your social activities and allows you to trigger collaborative functions and enhance the performance of your entire team. It has a unique social intelligence gathering methodology. 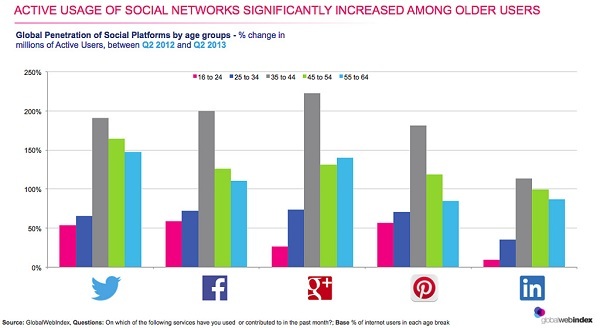 Trending social media platforms have been picked by the 56% of adults to access the online content. 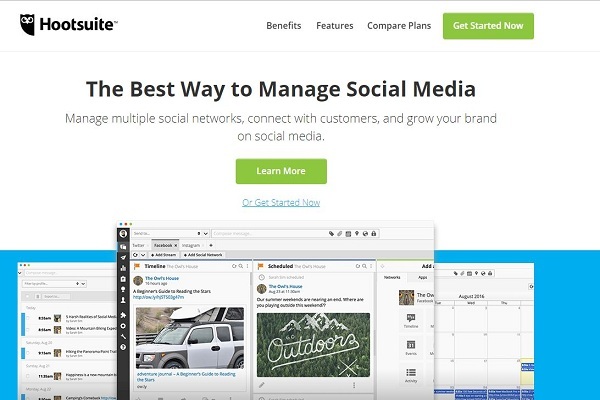 Sprout Social is a SaaS software that promotes communication between businesses and people. It also streamlines communication between a business and its customers, prospects, and enthusiasts. Through its three main functionalities (publishing, engagement, and analytics), a company can efficiently progress in social communication. It enables you to improve customers’ return on social media and efficiently manage your entire portfolio from a single tool. Its top-notch feature is Social customer service, a live media portal for customers where you can quickly respond to their questions, and fix issues as soon as they appear. It has the feature of collecting authentic and meaningful feedback. This is one of the favorite social listening tools. This tool measures the social media influence on a scale of one to hundred. It also shows the most influential followers tweets. Cyfe dashboards can help to keep your clients in the loop and enable them to view data in real time. Means you can cut down on the reports you send to your clients, and share information in an instant and secure way. It has pre-built data collection widgets. AgoraPulse is a social community and moderation tool that helps business manage all their social network profiles. AgoraPulse also offers a compact reporting suite and lets you measure your activity for even better results. It has team functionality. Buzz Radar is Buzzlogix’ most famous feature, in fact, a receptor developed exclusively to capture customer requirements, and notify you about them. It will be collecting and organizing all types of social data. This tools monitor the social media influence in four categories – namely strength, sentiment, reach and passion. Social Mention is a worth trying tool. Digimind Social is an online platform that focuses on social media analytics for businesses. It offers smart social media monitoring for companies that rely on social media marketing. The platform can also be used to create and manage quality social campaigns to promote virtually all kinds of social content. It gives you the analytics needed to determine which networks, profiles, and posts are most effective, which followed by each lead your business generates. It means that you can apply it to measure all of your marketing activities, click results, engagement, and conversions, but also discover content that would position your business among the topic leaders. Falcon.io works in line with all social networks. TweetReach is an excellent monitoring tool that you can learn about your influential followers, which points you toward the right time. By targeting those people, you are most likely to see better results. Audience interests, influence, interactions, and intent are to be understood by this measured merely. It will listen to social conversations. 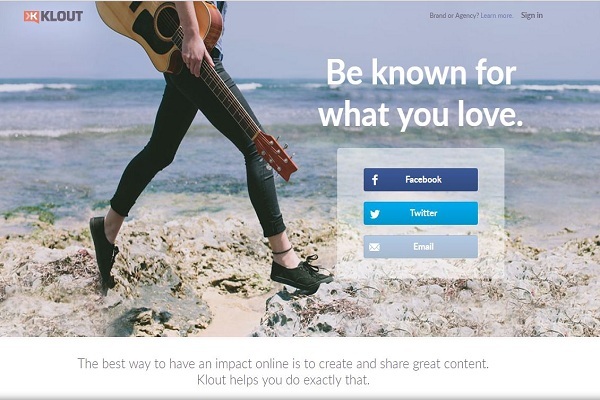 Also determine the full impact of social on leads, purchases, and more. Keyhole tracks all posts containing your hashtags and keywords in real time from Twitter and Instagram. And it also monitors your brand, competitors, optimizing your content strategy, growth and engagement. Twitter Counter is a tool used to track your Twitter stats. There are also buttons and widgets that can be added to websites, blogs, and social media profiles to show the number of followers and the most recent Twitter visitors. You can also see retweets, mention, and historical data; you can add multiple accounts so you can keep track of them all in one place and you can create custom reports and graphs. The buffer is a more straightforward and more natural way to schedule posts, track the performance of your content, and manage all your accounts in one place. You can use Buffer’s analytics tools to determine what is working and what isn’t, after posting the content. 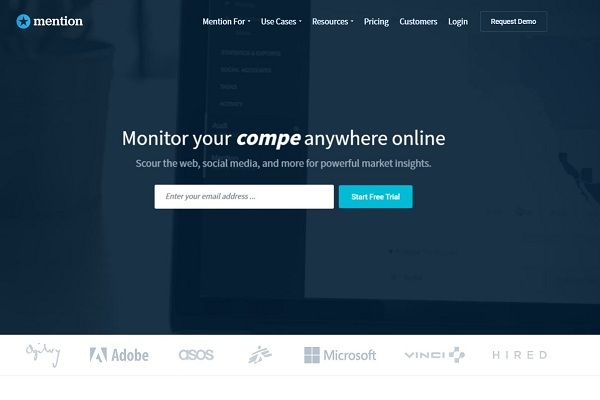 This tool offers competitor benchmarking, monitoring Facebook, Twitter YouTube, Instagram, and Google+. The paid plan allows adding unlimited social profiles. Video content related to the search term you provide from a variety of search engines and social networks are aggregated by all of the blog, microblog, image through this social Mention. It can get live updates about your brand from the web and social media. And explore how you can easily monitor the internet. Followerwonk is a quick and easy and lets you search users’ Twitter bios and profiles for mentions of you or your brand. Klear helps to find influencers in your industry and to use their data to analyze their presence on social media. 92% of customers are giving preference to online reviews in that 40% are considering three reviews to frame an opinion. It can be easily monitored, track and analyze your brand, industry, or competition with the industry’s most intuitive social listening solution. Also, it will gain the most in-depth insights into your consumers to fuel every aspect of your business with the best social analytics solution. Nuvi will clean dashboards keep track of followers, engagement, impressions, and demographics. Mentionmapp connects to your Twitter API and sees what’s going on in your Twitter network. It’s interactive, too. That way, you can click through and see how your interactions are connected. HowSociable is a handy tool for measuring your and your competitors’ social media presence. It can manage the team workflow, monitoring, analytics and drives huge engagement. It is the only platform which builds the market engagement and provides ultimate social customer service. Mondovo is used to deliver better SEO results for your clients. It is the all-in-one digital marketing dashboard. It is social media platform that helps break down raw data into the meaningful cluster. Intel – Social Media Analytics Intel is used to monitor brands and also help to grow your social media with smart analytics. Track and analyze your social media efforts in major social media networks such as Facebook, Twitter, Instagram, and YouTube. KuKu has features of timeline filters, track publication status, track social media campaigns with UTI codes and custom short links. It is used to create social media content, schedule tweets, messages, pins and post to multiple social networks with intuitive social media management tools of KUKU.io. Also used to publish to Facebook, Twitter, and Tumblr at once. Social Status is the relative respect, competence, and deference accorded to people, groups, and organizations in society. It will reports your social media automatically. SumAll is a web-based e-commerce analytics tool that compiles all your revenue data in real time. It is a user-friendly interface, practical insights, and connected data that allow you to take the guesswork out of running your online store. It is the best way to manage multiple social networks, connect with customers and also helps to grow your brand on social media. Thatswhy it is known as social media management in your pocket. It gives you instant actions to mentions about your brand across the web, from social networks to influential publishers. It always keeps track of your name online. stats from all of your accounts. It helps to earn money by scheduled posting to social networks. Also, plan messages and get actionable analytics. Don’t guess. Hashtag stats as you type – everywhere! It will monitor online mentions of your brand in real time, and it is a content discovery tool. A curated directory of resources & tools to help you build your startups. Minter is a company that provides Instagram analytics account, hashtag analytics for business and agencies. It can be count and analyze backlink checking, competitor analysis, keyword research and more. Brandwatch Vizia, a new social media analytics solution that displays telling the story of your social data on multiple. 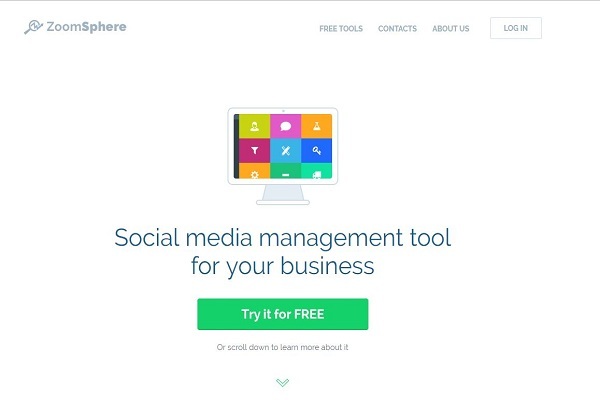 Little Bird is a social media influencer discovery and engagement tools. It is an advanced tool to poll public opinion. It is ease of instant, accurate and feels free. Also, it has free Twitter emotions analysis. It can analyze your social media pages and spy on your competitors. A beautiful UI buried provides you detailed twitter analytics. A new tool, brands will be able to consider the needs of consumers on social media and consequently turn them into opportunities in real time. It’s a social media command center for one. It helps publishers find the right people to promote their stories. So, it needs salesforce for social media managers. It’s a Real-time audience analytics for any Twitter profile. BrandMentions 2.0 will get notified when people mention your brand or competitors. The Brand Greder can analyze any brand online in seconds. The Klear chrome extension helps you know who among your tweeps is an influencer.Also finds influencers right on your twitter feed. PostReach is the easiest way to measure content performance. It is the most comfortable UTM tags, builder. It will directly pull all your marketing data into Google studio and Facebook. Rite Tag Mobile Apps will get hashtag stats and suggestions before you post. After gathering information from social media monitoring what should brands do? Based on the goal of the marketing campaign, analyze the information and can use it to do the following things. Based on the results, develop content like blogs, eBook or website FAQ. Reach out to potential leads. Respond to online complaints and queries, if somebody posted on social media about the good or bad or your product, respond to it. Find out what the complaint of a customer is about the product or service. Identify the tools that will help to regularly and continuously monitor social media. Find out what the competitor is doing and plan to do it better. Address all the customer service related issues. Social Media Monitoring (SMM) contains many practical features, maximizing the benefits of the platform ultimately depends on the usability of its findings in departmental or organizational strategies. The challenge to find the perfect place for social media strategy brings up the questions of the purpose of the plan. These are the beneficial tools to your business for social media motoring tools.